Suppose only a part of the information available on a webpage concerns us and we are short on time. We might bookmark the webpage or save the URL for later viewing. However when we reload the URL, we spend considerable time finding exactly what we reading. Moreover we might not remember what information we wanted from the webpage in the first place. One way to solve this problem would be save the URL / bookmark the page, then save our thoughts in a Notepad file on our computer. To recall what we were reading on the webpage, we simply open the Notepad file. The method of opening Notepad outside the browser might be inconvenient for some users. For them, “Note Anywhere” is a wonderful alternative. Note Anywhere is an extension for Google Chrome. It lets us use a new way to record our notes about a certain webpage. 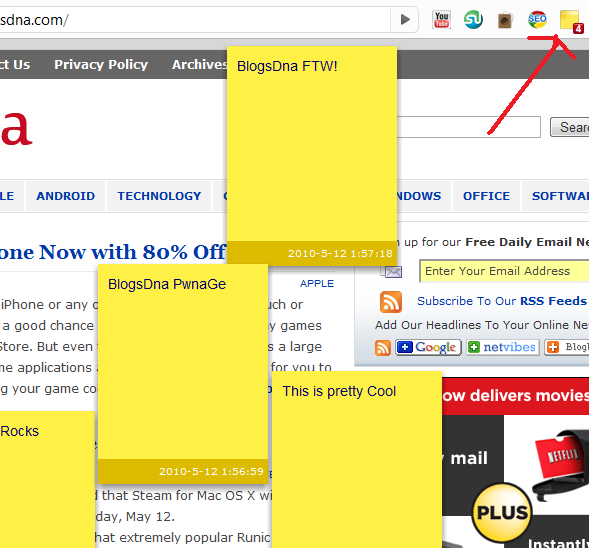 After installing the application we notice a yellow icon in Chrome’s address bar. The icon will be accompanied with the number ‘0’ initially. Say with the extension installed, I have got a website opened. In the middle of my browsing, I need to record some notes regarding the site. Instead of opening Notepad, I simply click on the extension’s icon and a yellow window will pop up which I can store my notes in. 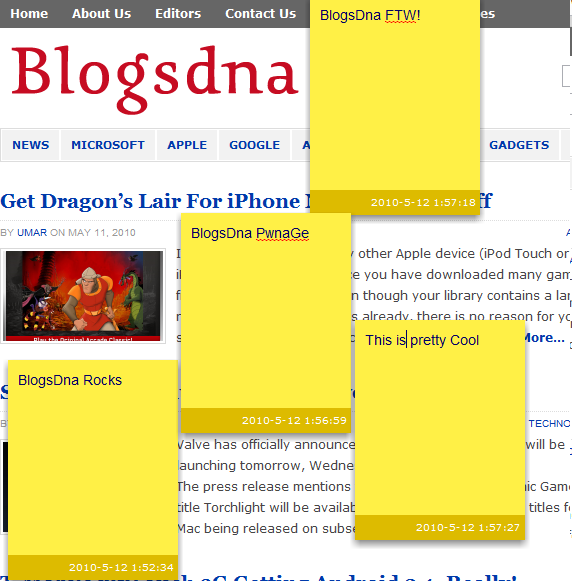 This yellow window can be placed anywhere on the webpage; we can keep on clicking on the extension icon to produce more windows and place them anywhere we want. The number in the extension’s icon represents the number of note windows we have got open on the current webpage. Whenever we reopen the webpage, Note Anywhere will restore our notes and present them in the same arrangement we left them in. 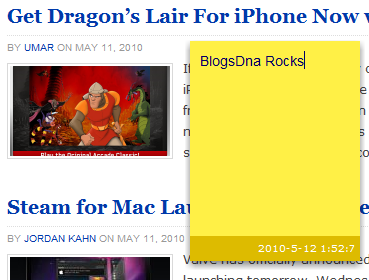 A wonderful way to record our thoughts about a site, Note Anywhere is a must have extension for all Chrome users.